As true as the symbolic nature of the Yew Tree, as one family leaves this beautiful home a new family can grow and prosper. 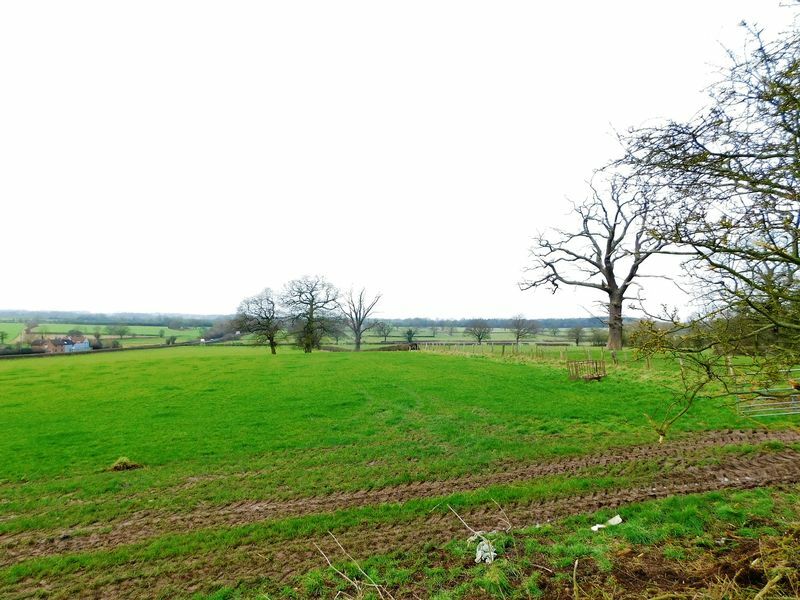 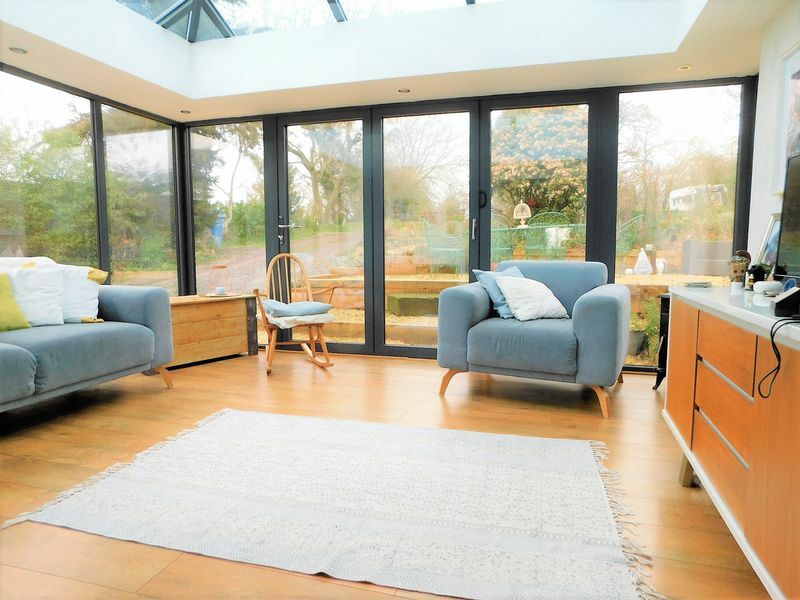 Brewood is the ideal location for commuters, with just a stone’s throw from the A5, A449 and both the M54 and M6 as well as rail connections provided within nearby Codsall and Penkridge . The property also offers a short distance to local amenities including shops, public houses, restaurant, tea rooms and excellent schooling. 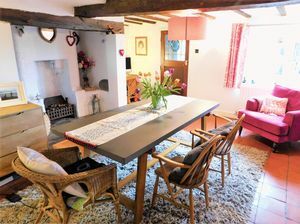 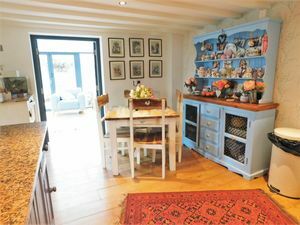 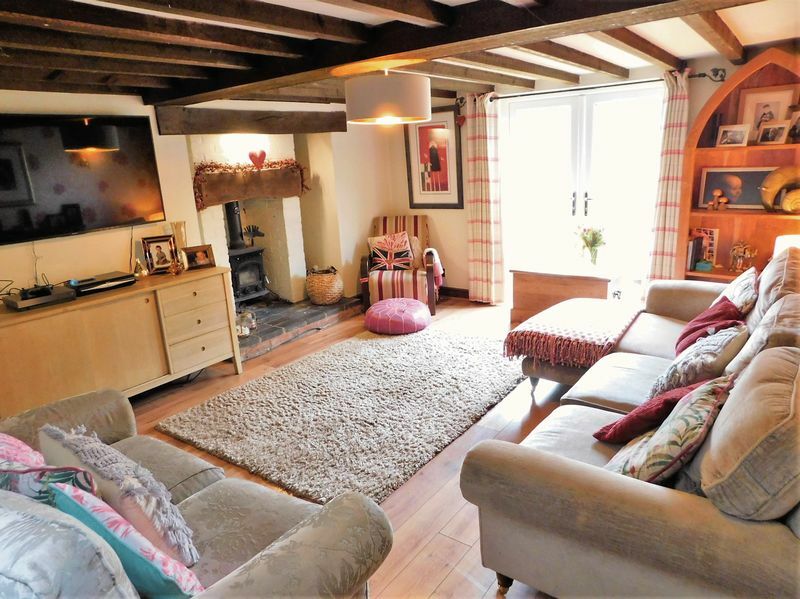 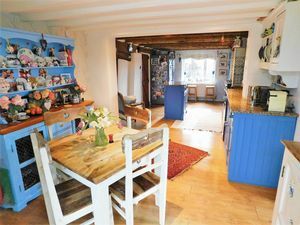 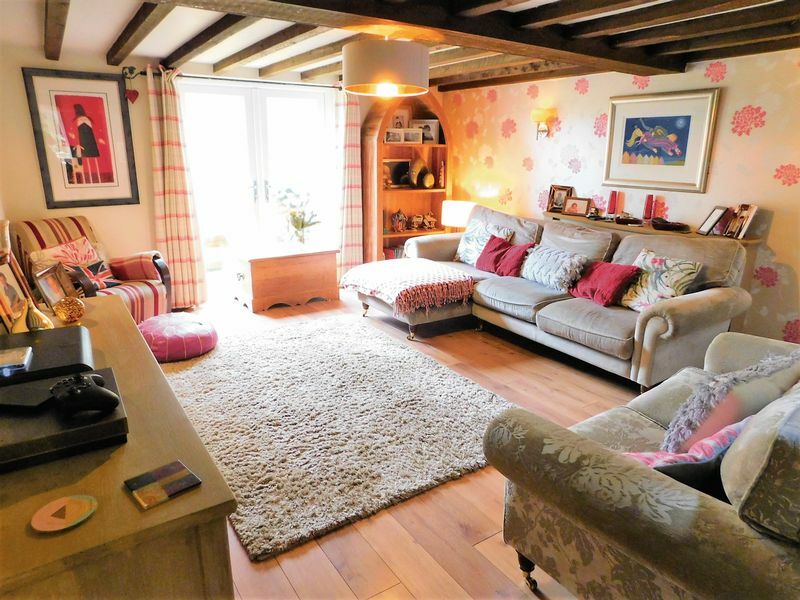 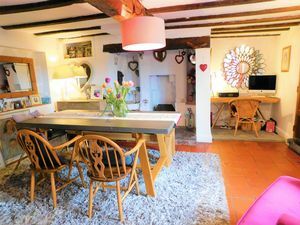 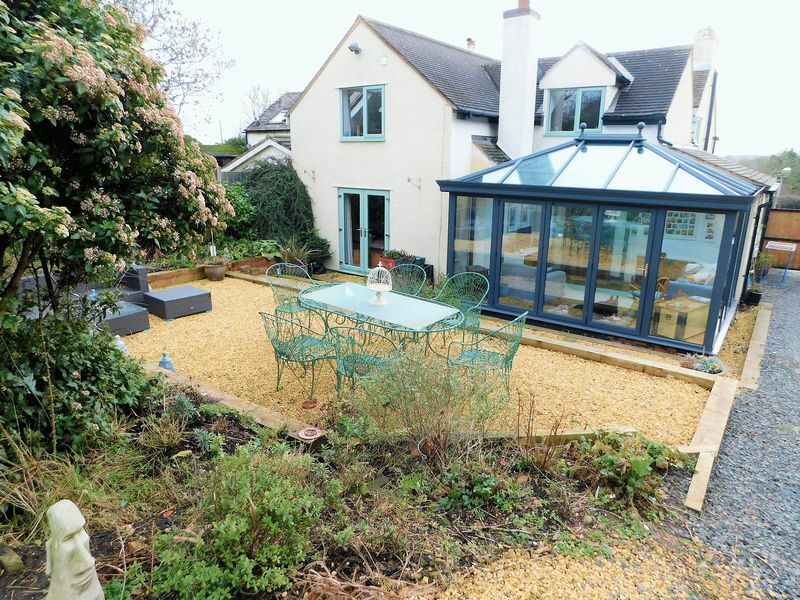 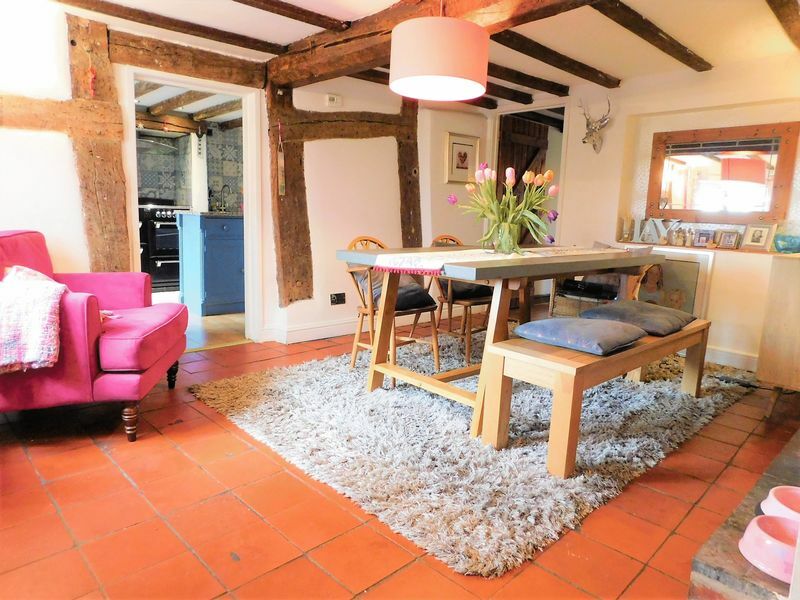 This stunning and deceptively spacious cottage offers an entrance porch, dining room with original minton style flooring, a lounge with the original character beams, a cottage styled kitchen/diner, utility room, guest w/c and orangery all to the ground floor. To the first floor the property provides four good sized bedrooms and a beautiful family bathroom and separate shower room. 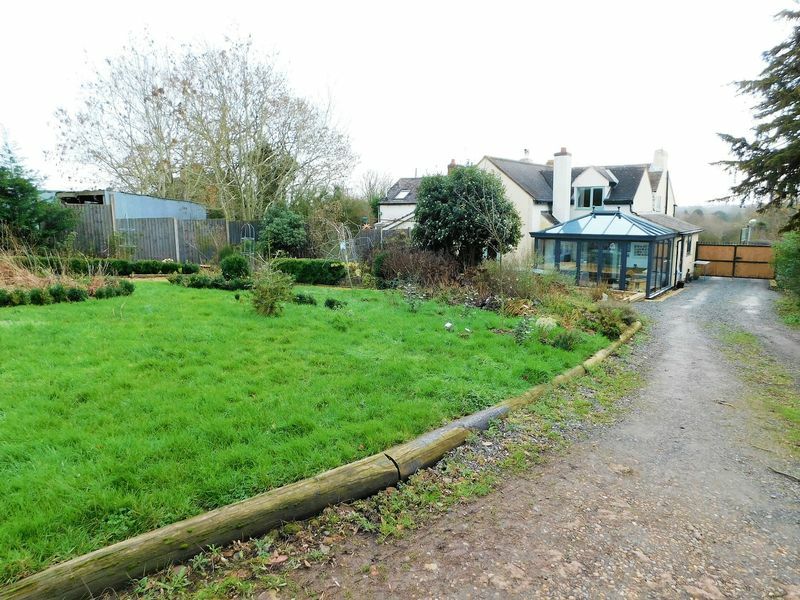 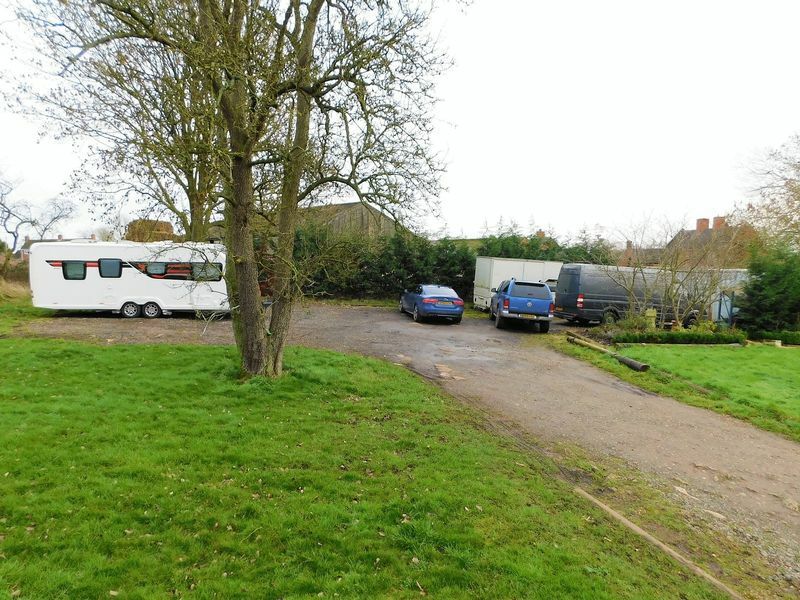 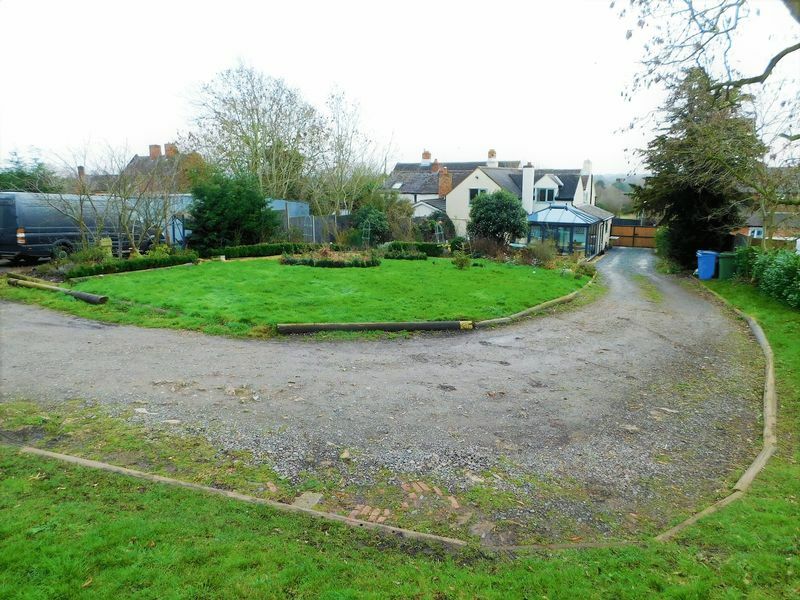 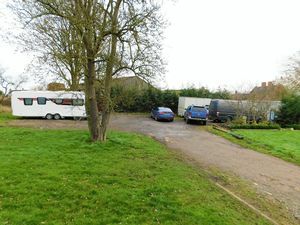 Externally the lawned front garden ad gravelled driveway lead to the front of the property continuing down the side of the property to double gates to additional parking for a number of vehicles and shipping storage containers (which can be negotiated on the agreed sale). A substantial rear garden is laid mainly to lawn and enjoys stunning far reaching rural views and benefits from a number of fruit trees. 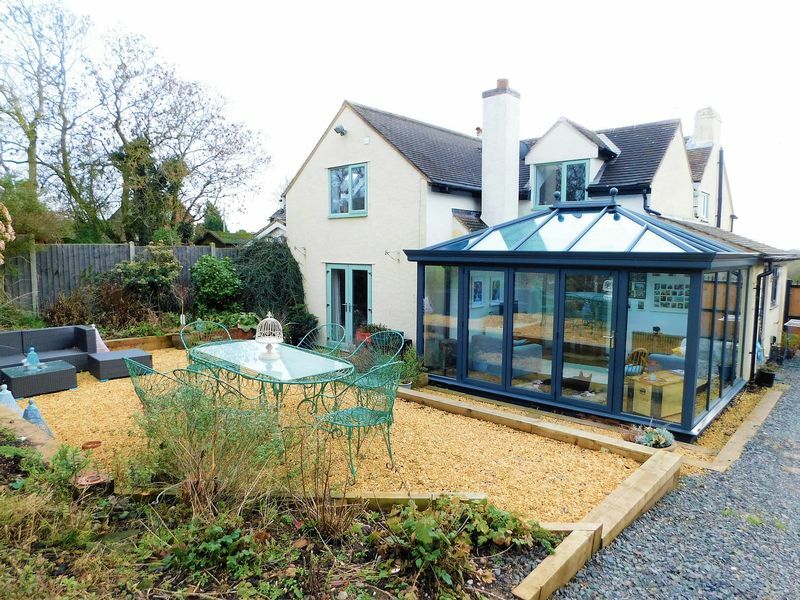 Composite door to entrance porch having ceramic tiled floor, built-in in storage cupboard and door to dining room. 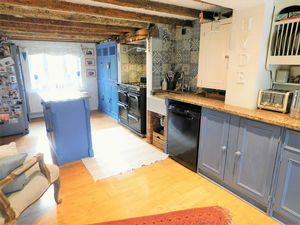 Spacious dining room having the original exposed beams, quarry tiled floor, inglenook fireplace with the original bread oven, Staffordshire blue brick hearth, radiator, window to the front elevation, latch door to dining room/kitchen and latch door leading to lounge. 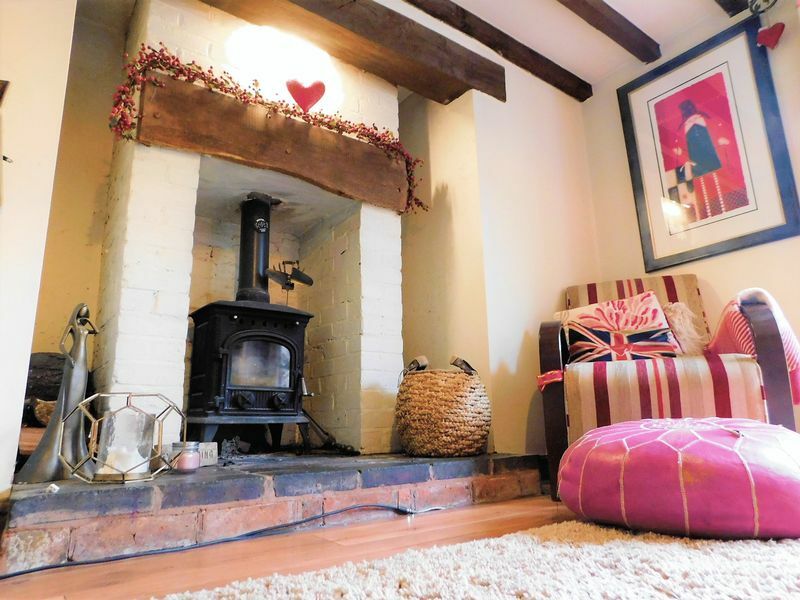 Having brick chimney breast with oak mantle and Staffordshire blue brick hearth housing cast iron wood burner, laminate floor, exposed beams, stairs off to the first floor landing, double glazed French Doors to the large private rear garden and under stairs storage cupboard. Spacious dining/kitchen having exposed beams, laminate floor, granite worktop with inset Belfast sink, space for Range cooker with extractor hood over, free standing handmade larder, matching handmade base units, laminate floor, radiator, down lights, glazed door to the utility room and glazed double door to the orangery. 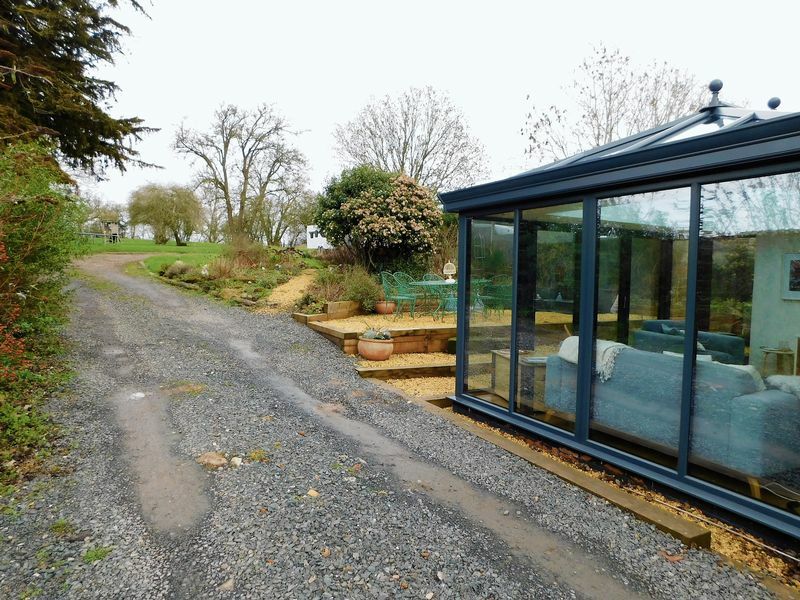 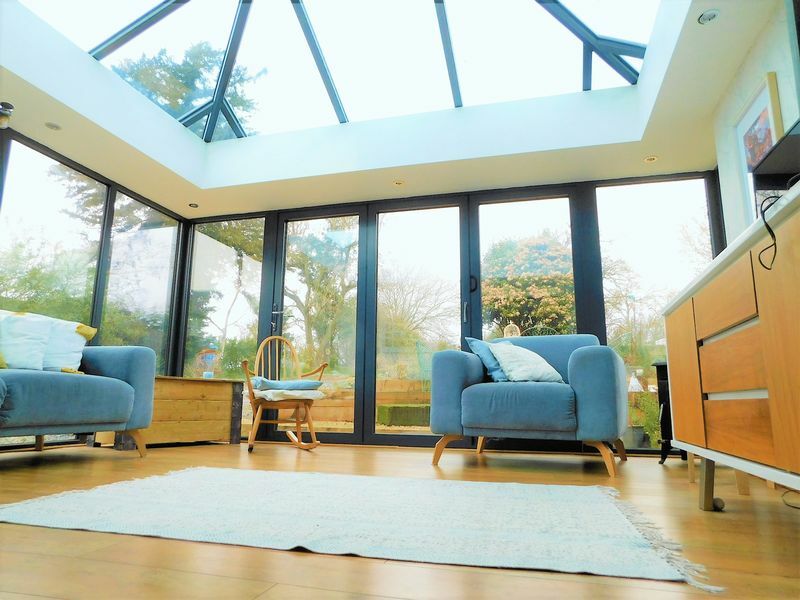 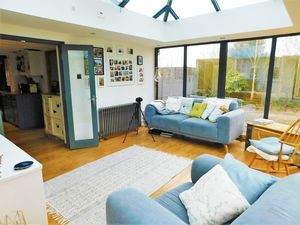 Superb double glazed grey aluminium orangery with Pilkington Blue roof and temperature controlled roof vent, down lights, traditional style radiator, laminate floor and tri-folding doors leading out to the patio and large rear garden. 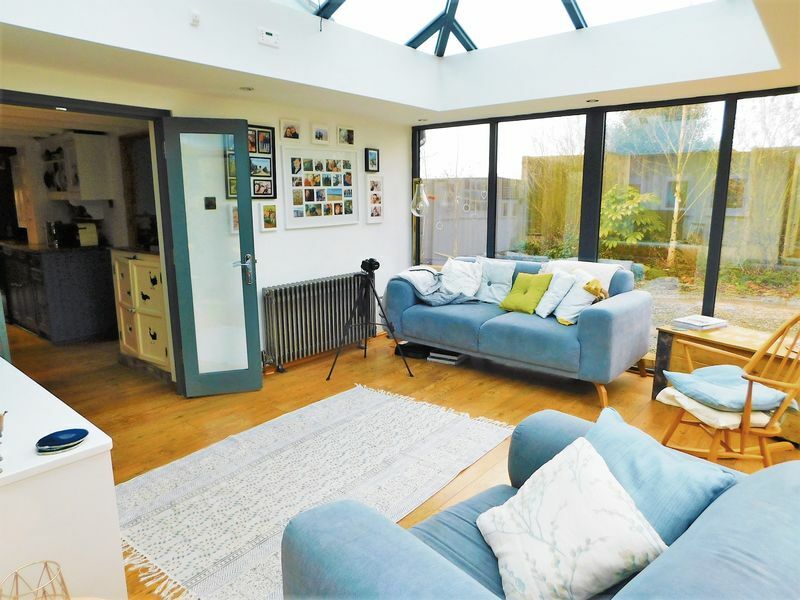 Having contemporary style radiator, wall mounted units, worktop, Belfast sink with mixer tap, double glazed window and door to the side elevations, splash back tiling, laminate floor and door to guest wc. 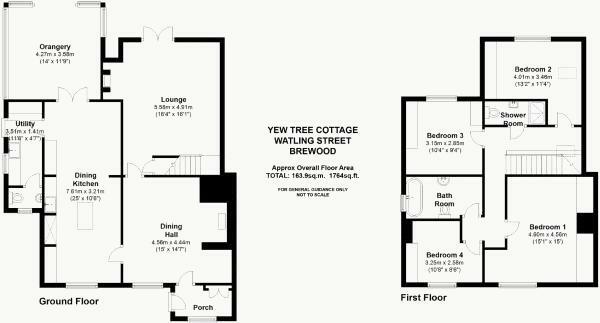 Guest wc comprising of wash hand basin with contemporary style mixer tap, dual flush low level flush wc, radiator, laminate floor, double glazed window to the front elevation. 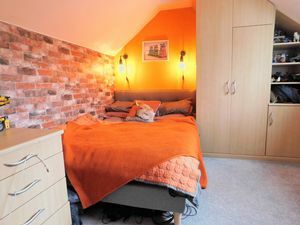 First floor landing having velux window to the side elevation, strip wood flooring, radiator. 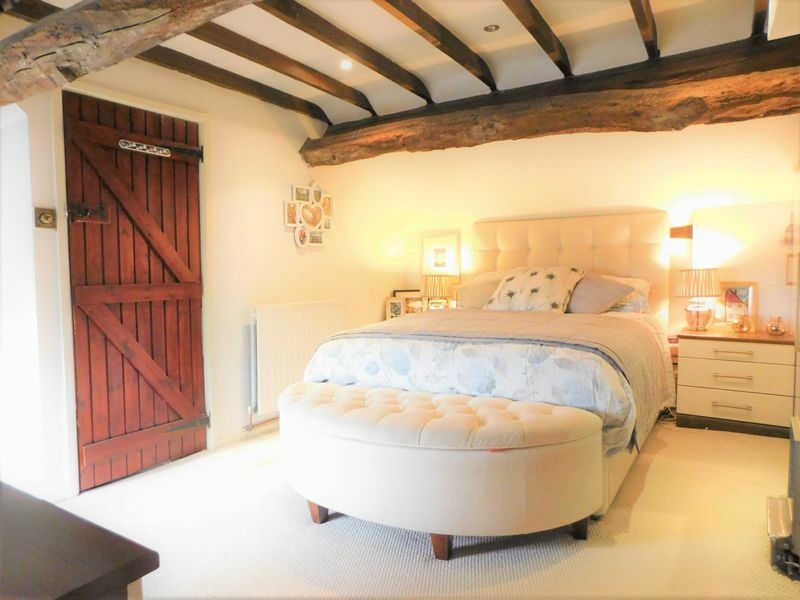 A spacious double bedroom, full of character having the original exposed beams, radiator, modern fitted double wardrobes with matching bedside drawers, double glazed window to the front elevation and down lights. 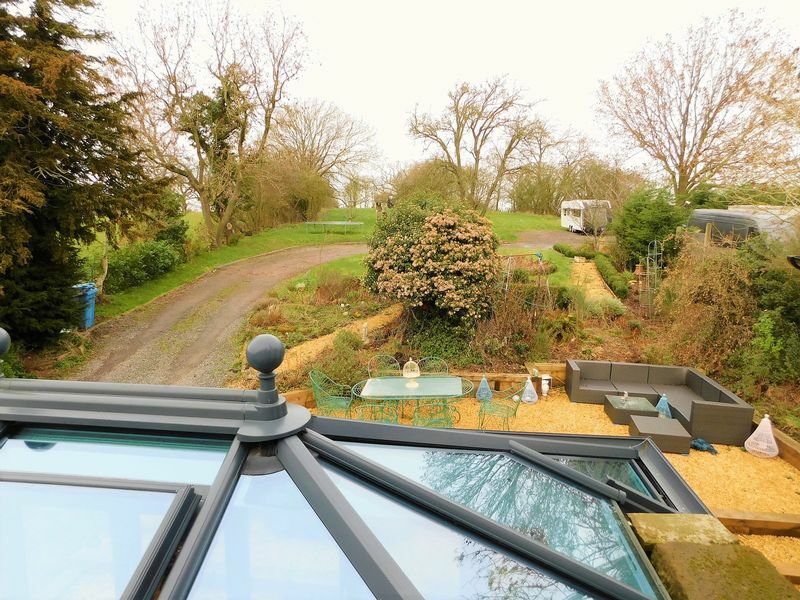 A second good size double bedroom having modern fitted double wardrobes, velux window to the side elevation, radiator, double glazed window to the rear elevation overlooking the rural views and the large private rear garden. 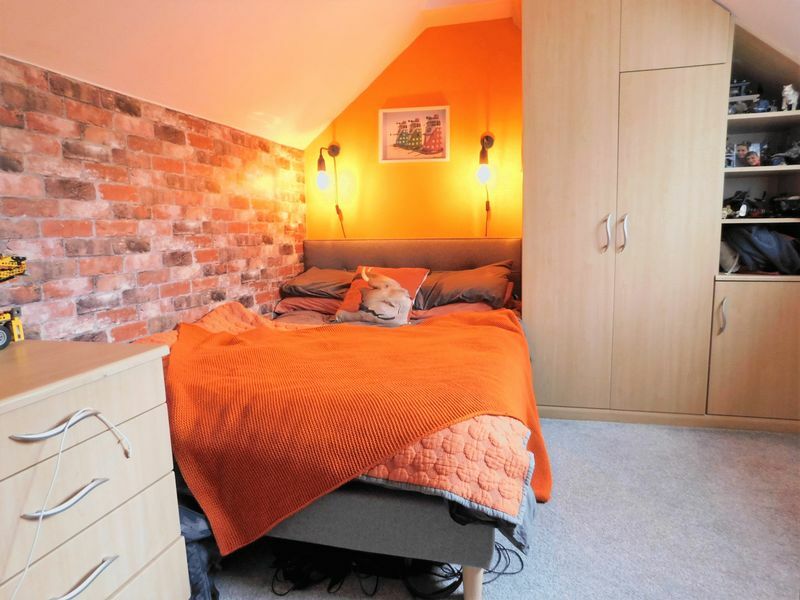 A third double bedroom having purpose built fitted double wardrobe, built-in shelving and storage units, double radiator, double glazed window to the rear elevation. 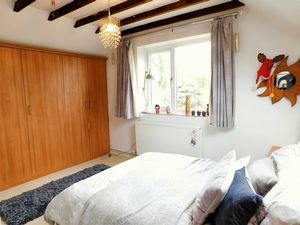 A good size fourth bedroom having built-in double wardrobe, radiator, double glazed window to the front elevation and cabin bed with drawers and storage under. Family bathroom comprising free standing cast iron roll top claw foot bath, high level wc, pedestal wash hand basin, double radiator, strip wood flooring, double glazed window to the side elevation. 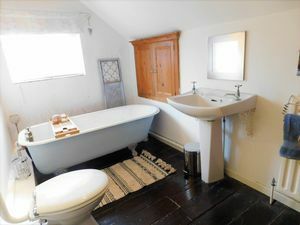 Shower room comprising ceramic tiled shower cubicle, rectangular wash hand basin with chrome mixer tap, dual flush low level flush wc, ceramic tiled floor, splash back tiling, chrome towel radiator. 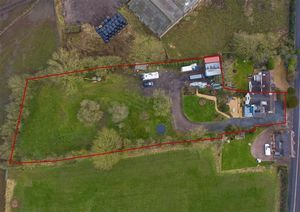 Outside there is a lawned front garden and gravelled drive to the front with the driveway continuing to the side to double gates leading to parking area for numerous vehicles, landscaped gravelled patio and substantial rear garden laid mainly to lawn enjoying stunning far reaching rural views. 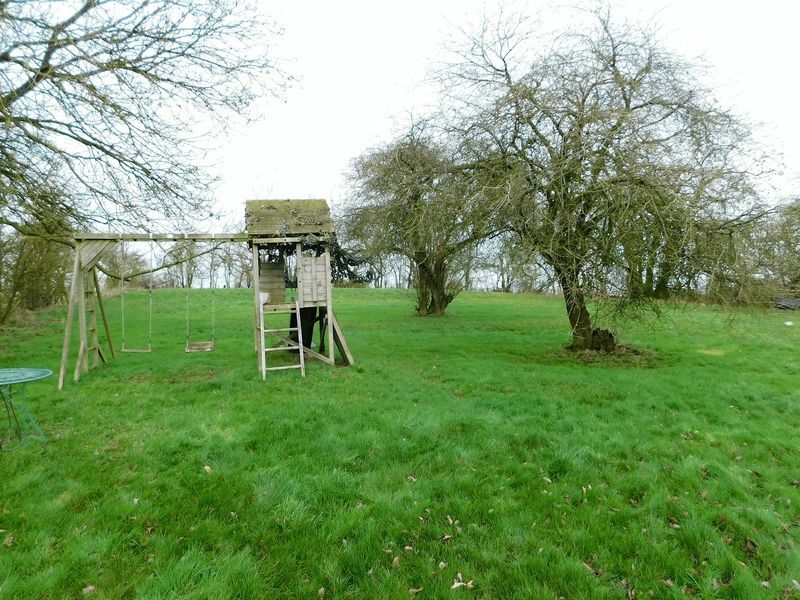 The rear garden, stretches to approx an acre of land and also has numerous fruit trees including damson, pears and apple trees.